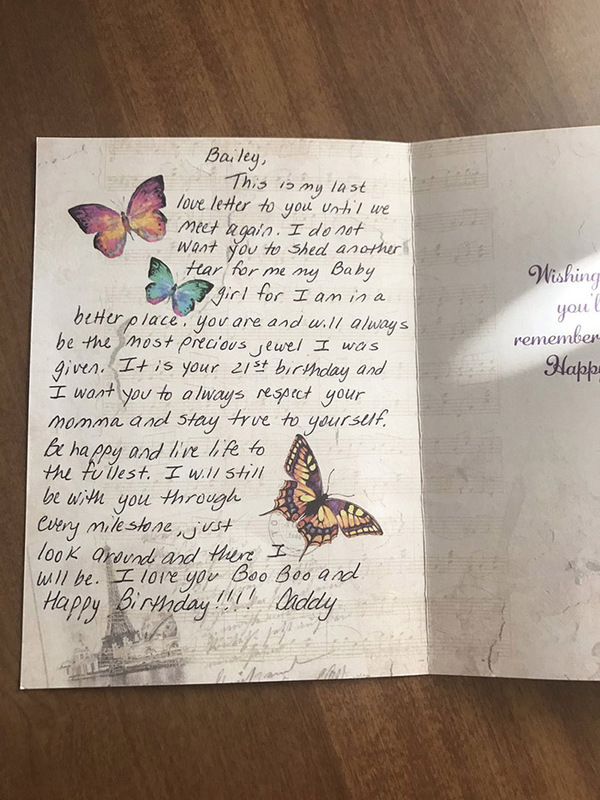 Bailey Sellers' father passed away from cancer when she was 16 years old , but be fore he died, he pre-paid for a floral delivery every year on her birthday. She's been receiving them with a note for the past five years. 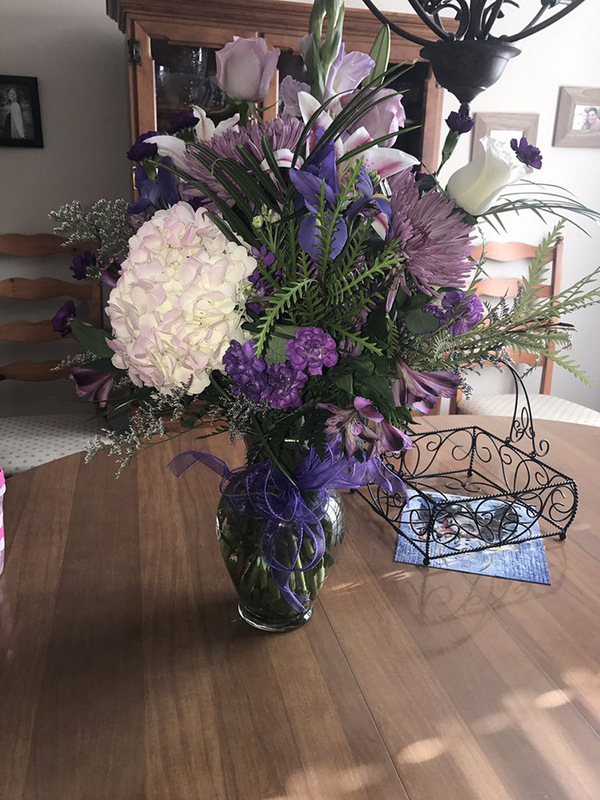 This year Bailey turned 21 and she received her flowers and note as usual. But the delivery will be her last one until they "meet again." 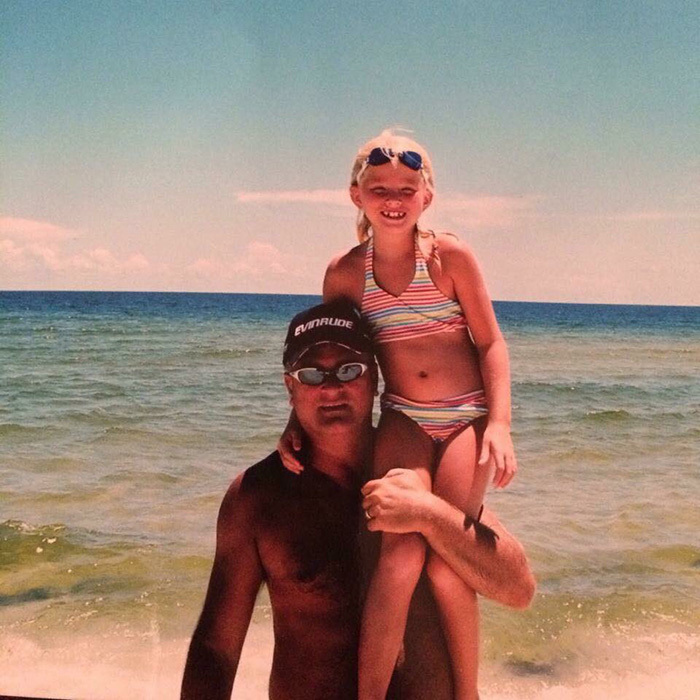 "This is my last love letter to you until we meet again," her father wrote. "I will still be with you through every milestone, just look around and there I will be." Bailey posted the photos on Twitter. Talk about leaving a mark on the world. Good show, dad. I saw this same story somewhere else a few weeks ago.. Certainly one unique way for that father to keep his loving memory alive, while easing his daughter through her own grieving..